About the author: Gleb Bialyi (gleb.bialyi@asterslaw.com) is a partner and co-head of the domestic litigation practice at Asters. Asters associate Roman Gerasymenko is the co-author. Last year saw the new Supreme Court begin its activities following its creation as one of the centerpieces of Ukraine’s justice system reforms. In autumn 2018, we also saw the reboot of the country’s appeal courts. The process of justice system reforms remains very much a work in progress. Coming steps include the completion of work on newly updated courts as well as the creation of highly anticipated new court bodies such as the High Court of Intellectual Property and the High Anti-Corruption Court. The main function of the High Anti-Corruption Court will be to execute justice in criminal proceedings concerning corruption-related offences such as money laundering and declarations by the public officials featuring unreliable information about personal assets. This is a key element of Ukraine’s broader post-2014 reform process. It will generate significant national and international interest. Meanwhile, the High Court of Intellectual Property will execute justice in intellectual property cases regarding rights to inventions, trademarks, and so forth. It will also handle disputes concerning intellectual property contracts and related issues. Intellectual property rights have been a longstanding issue for Ukraine in its relations with the international community, making this legal reform a strategic priority. Amendments adopted by the Ukrainian parliament in 2016 stipulate that only attorneys with the respective certificate may perform the role of court representation. This prevents non-attorneys from representing clients in court. This law provided for an adaptation period for implementation. The exclusive right of attorneys to represent a client (except for state authorities) in the Supreme Court commenced from 1 January 2017, while in the appeal courts the date was 1 January 2018. Due to these changes, only certified attorneys were entitled to represent their clients in the Supreme Court and appeal courts in 2018. January 2019 saw implementation of the same rule in Ukraine’s first-instance courts. Nevertheless, there is a flipside to this coin. The majority of lawyers without the relevant certificates have already passed the necessary attorney exams during the adaptation period. This demonstrates the relative simplicity of access to attorney status. The most likely effect of all this on Ukraine’s legal services sector is the raising of client requirements towards litigation counsels and higher expectations regarding a counsel’s reputation. An attorney certificate alone is no longer a sufficient measure of merit. Experience, reputation and brand will now be more important than ever before. The primary objective of Ukraine’s e-court system is to simplify trial procedures by optimizing casework and speeding up the decision-making process. Newly adopted procedural codes confirm implementation of an e-court system allowing for the exchange of procedural documents among the parties and the court, as well the recording of the trial process and participation in trials via video conference. The filing of e-lawsuits or other procedural documents in electronic form, along with trial participation via video conference and video recording of court hearings, are actually nothing new for the Ukrainian justice system. For example, the filing of the first Ukrainian lawsuit in electronic form took place back in 2015, long before the adoption of the new procedural codes. In fact, filing procedural documents using e-signatures was possible even earlier, but lawyers did not previously take up this opportunity. In practical terms, the significance of the current e-court system implementation is to unify and simplify document circulation and interaction between the parties and the court by creating one single software system that will include all the necessary functions for e-trial procedures. There has been a lot of chatter in recent years about the rise of legal-tech and the impending demise of the legal profession. In reality, we are highly unlikely to see the automation of litigation or computers replacing lawyers in 2019. Nevertheless, progress in this direction continues. 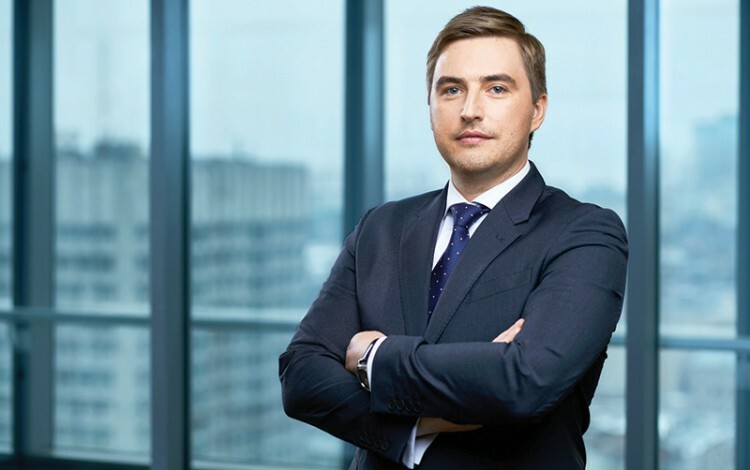 Today’s Ukrainian litigators are already actively using various applications and software in order to simplify and optimize their performance. At present, this primarily means applications that are able to update information online about issues such as the status of a particular court case, the appointment of meetings, or the release of procedural court decisions. This trend is no surprise and is evident elsewhere in Ukraine. For example, a number of Ukrainian insurance companies have recently begun actively using special software to draft standard packages of documents. This software is able to pick out the relevant information about an insurance event and include it in a standard lawsuit draft or any other procedural document. As a result, lawyers spend much less time initiating an action or preparing other standard documents. Another hot-button issue in legal-tech is the development of software providing forecasts for trial outcomes taking into account the nature of the situation, the parties involved, and the personality of the presiding judge. However, at present all software solutions serve an ancillary role in support of the lawyer. This role may be increasingly useful, but it cannot replace the functions of the legal fraternity completely. It is always wise in Ukrainian litigation practice to expect the unexpected, and this is particularly good advice in 2019 as the country prepares for presidential and parliamentary elections. There are a number of potential variables capable of completing reversing or derailing current trends in litigation practice. These include the aforementioned elections, changes to key state policies such as the ban on agricultural land sales, or geopolitical turbulence in eastern Ukraine.